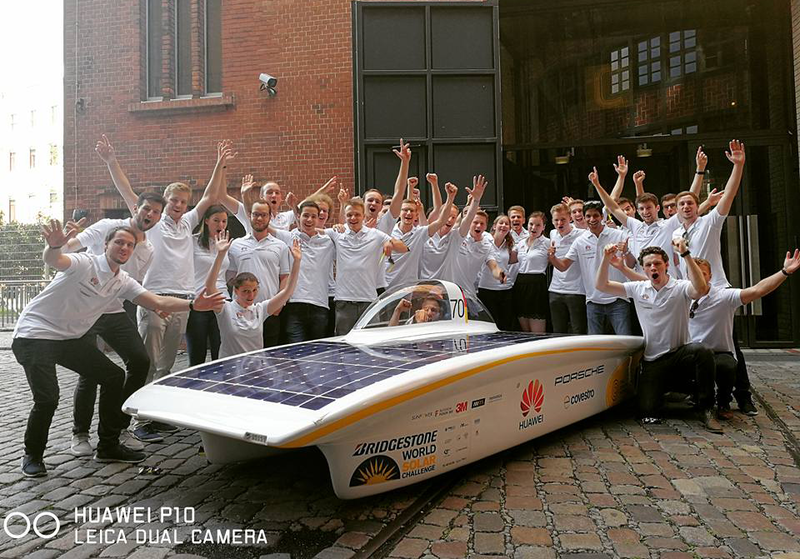 Sonnenwagen Aachen is a team of university students from Aachen, Germany, who used Autodesk Fusion 360 software to create a completely solar-powered car. In October 2017, they will compete in the World Solar Challenge, a biennial competition in which groups traverse 3,000 kilometers through the outback in vehicles powered by the sun and kinetic energy alone. In a world full of designers increasingly looking to reduce their carbon footprint and uncover more sustainable energy sources, many groups are discovering ways to harness renewable sources of power that can help vehicles get around. The Sonnenwagen Aachen team set out to win the World Solar Challenge by creating a sustainable vehicle design from scratch. The students didn't have a prototype when they started building their solar car, or any model on which they could base their idea. So they turned to Fusion 360, a cloud-based collaboration tool that was intuitive and easy to use. They used Fusion 360 to dream up their design, test it digitally, tweak it, and ultimately render and make it real. During the design and build process, the students in the group lived all over the city and attended different schools. For that reason, they needed a tool that fostered collaboration--one that allowed people to work at home, at their university, or at the Sonnenwagen Aachen office. Fusion 360 ended up being just the solution the student group needed. The platform not only allowed them to build and perfect the car from scratch, it also facilitated team work, allowing every member to collaborate, make changes, provide feedback, and keep up to date with what was happening with the project, no matter where they were. On July 20, 2017, the Sonnenwagen was officially unveiled at the Federal Ministry for the Environment in Berlin. It drives smoothly and uses only the power of a vacuum cleaner--all fueled by the energy of the sun. The group now will have two months to perfect the car and prepare for the race in Australia. Two years ago, engineering and science students from Aachen University and the University of Applied Science in Aachen decided that they wouldn't just study in the classroom. Instead, they took learning into their own hands and formed Sonnenwagen Aachen, a group that would create a solar car to compete in the World Solar Challenge. While one of the group’s major goals is to win the race, their ultimate goal is to innovate the idea of green mobility and to uncover more efficient driving strategies that could be applied around the world. Do you want to build a solar car or a device that you can power from a completely sustainable source? Check out Fusion 360. You can use the power of the cloud to collaborate on new inventions, test them, and make them a reality. Learn more about what Sonnenwagen Aachen is doing on Twitter, Facebook, and or Instagram, and cheer them on as they compete.